If you ever wondered if it’s a good idea to make a spirit while eating fresh strawberries, this strawberry brandy is exactly the confirmation you’ve been waiting for. Yes, you can make a damn fine spirit using your favorite berries, and the best part of it is that you don’t need fresh berries to make some. Just make sure to have some frozen strawberries stashed in the freezer or make a trip to a local grocery store and pick something good. Other than that, the recipe is quite simple and easy to make, without any complex processing. Just mix things up, pitch that yeast, ferment then distill. It doesn’t get any better than this! Nothin' like a good summertime brandy! Put strawberries into a bowl and let thaw. Pour one gallon of water into a pot, warm to about 90°F, then add 5 pounds of sugar, mix well until fully dissolved. Once the strawberries have thawed mash them into puree, then add the sugar syrup. Dump the mix into the fermenter then add the remaining 4 gallons of water. Add yeast, close the lid, put airlock in place and let ferment completely for about 10 days at room temperature. Once the fermentation is done, strain the wash off any solids in the fermenter into the still using a siphon tube. Distill as you normally do, divide into cuts then package for storage and sippin'! 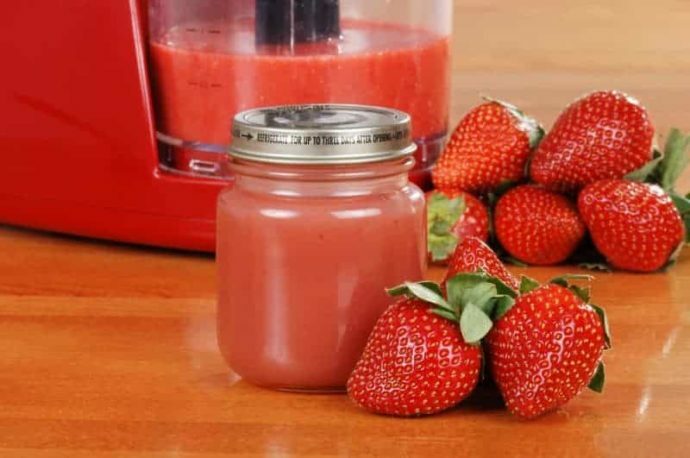 Using fresh strawberries is definitely a better option than store-bought frozen, but it makes the recipe rather seasonal. You can play around with different types of yeast to get different flavors, read our guide on the best types of moonshine yeast. How much is a pitcher of turbo yeast?